The Deputy Deputy Inspector General of Government confirmed that the money sent to Busoga University wasn’t meant for it, but rather Makutu Seed Secondary School. Busoga University has been ordered to bring back Shs50.5m that was for Makutu Seed Secondary School in Bugweri District. She therefore ordered Busoga University based in Iganga district to refund back the money that the President sent. According to the letter signed on September 17 by the Deputy Inspector General of Government, Ms Mariam Wangadya, to the university’s Vice Chancellor, Prof Lameka Kibikyo, asserts that the money was mistakenly sent to Busoga University. 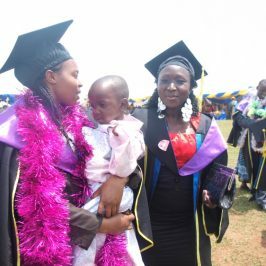 President Museveni in 2011 pledged to support both Busoga University and Makutu Seed School. On the amount sent, Busoga University was meant to take Shs1.2b and the reminder was for Makutu Seed School, according to the IGG. However, Busoga University took all the money. The University was then ordered to send Shs151m to Makutu Seed School but only released Shs100.5m. “The delays in refunding the money to Makutu Seed School is due to the problems that the university has been having since 2016, including strikes, notice to revoke its licence and revocation of licence; but the money will be paid in instalments,’’ Prof Kibikyo is quoted as saying. The IGG termed Prof Kibikyo’s claims as unsatisfactory since the money was received by the University two years earlier before the problems occurred. “It is noted that your explanation is not satisfactory since the problems occurred two years after receiving them. You are therefore directed to refund this money with immediate effect,’’ the IGG letter reads in part.